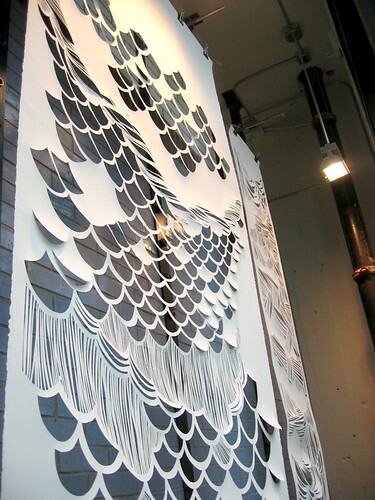 This is a window display at Urban Outfitters in Milwaukee done by my friend Amy Soczka. Amy has a great blog (that she actually updates) and an etsy shop. I'm lucky enough to own one of her beautiful pillows. My hands hurt just thinking about how much work she must have put into this. 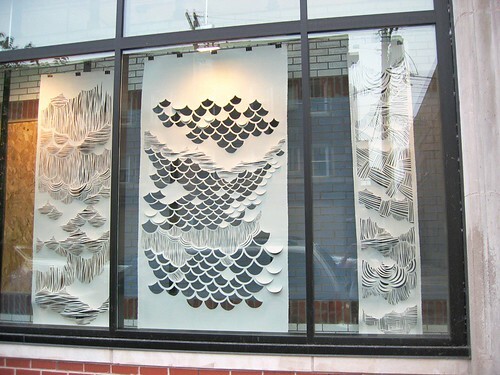 I love that UO are commissioning windows from local artists- and I hope they continue to do so! I've loved the ones I've seen so far.